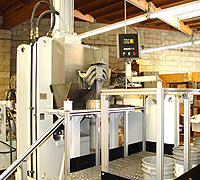 What are some ideal applications for abrasive flow deburring in San Francisco CA? Automotive Engines: Whether it is air or fuel flowing through the passages in an engine part, any turbulence is going to decrease efficiency. Using abrasive flow deburring in San Francisco CA, we can reduce turbulence and increase flow up to 25 percent. This in turn encourages more complete combustion for better fuel efficiency, power, and performance. Food Processing Equipment: All the surfaces that food comes into contact with during processing need to be clean and smooth. If you have burrs, you could easily end up with contamination from bacteria or even from tiny bits of metal if the burrs break off during processing. At Extrude Hone, we’ve developed a deburring process called Ultra Pure that is specifically designed to meet the needs of the food processing industry. 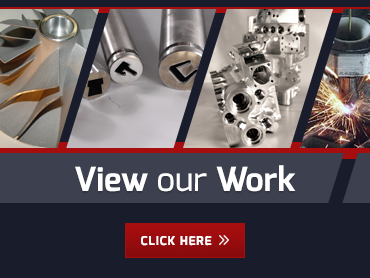 Extrude Hone AFM can assist with deburring projects of all sizes, whether you have one part for your muscle car or a thousand parts for your business.Call us at (562) 531-2976 to learn more.